≈ Comments Off on GTA CONDO SALES ROCK! The BILD statistics for April 2014 are in, and RealNet Canada Inc. reports that the market continues to be strong and healthy. The April stats follow first-quarter results for high-rise sales that were much higher than both 2013 and 2012. In addition, we have a lot of new condo launches coming later this spring and summer, so everything is looking up, up, up. New condominiums are definitely a driving force in the new home marketplace. And, why not? Incredible transit- and pedestrian-friendly locations, amazing amenities, fabulous features and finishes, and prices that are much more attainable than low-rise homes. If you are considering a move in the near future, consider a condo for the utmost in convenience and value! ≈ Comments Off on TORONTO A WINNER AGAIN! I have written blogs and articles on the multitude of awards and accolades the City of Toronto has earned over the years, and it seems like every time I turn around, there’s another one. Last year, we found out that Toronto is the fourth-largest city in North America, and last week, it was named the fourth most attractive city in the world! In fact, Toronto was the only Canadian city to make the list culled from the “Cities of Opportunity” survey by Price Waterhouse Coopers (PWC). The survey ranked 30 destinations from around the world in a variety of categories such as quality of life, transport, economic strength, ease of doing business, education, technology and the natural environment. Toronto came fourth, after London, New York and Singapore. Very impressive! Apparently, PWC places importance on the survey results, because the variables considered can affect a city’s success in attracting foreign investments and businesses in general. Only Stockholm beat us in health, safety and security. We also earned high marks for health care, education and infrastructure, sociopolitical stability, and culture and natural environment. I find it heartening that so many international organizations continually rank Toronto among the best cities in the world. We truly are the envy of people around the globe! Did you know that this year, MoneySense Magazine placed Burlington 5th in its overall “Canada’s Best Places to Live” ranking, and 1st in the “Best Mid-sized City” category! It is easy to understand why. One of Halton Region’s most popular municipalities, Burlington offers a high quality of life for residents, who enjoy a wealth of amenities including a beautiful section of Lake Ontario shoreline. Situated near the centre of Ontario’s bustling Golden Horseshoe, Burlington is also adjacent to the breathtaking Niagara Escarpment, offering a section of the Bruce Trail at its northern end. Parks, sports fields, recreational facilities, Tyandaga Golf Course, shopping and the Burlington Art Centre are just some of the conveniences that are part of everyday life in this exciting city. And how about this: Burlington’s Canada Day Celebrations and Children’s Festival have been named part of the Top 100 Festivals in Ontario for two years in a row! No wonder the demand for new housing continues to increase, as more people discover how wonderful it is to call Burlington home. 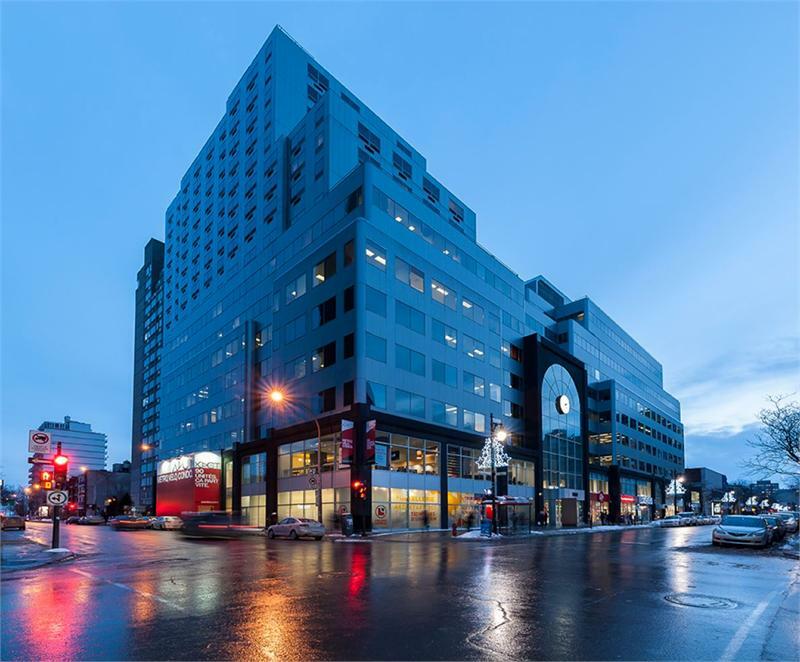 Within these vibrant surroundings, for example, ADI Development Group offers The Link Condos + Towns, an intimate condominium that is proving popular with a variety of purchasers. At Dundas Street and Sutton Drive, The Link is “linked” to Bronte Creek Provincial Park and is enhanced by the beauty of Bronte Creek. 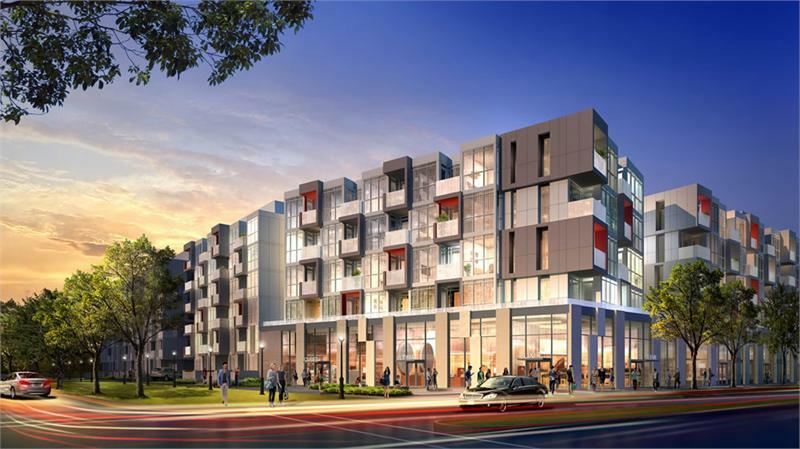 The Link is all about luxury, in both amenities and finishes. Residents will enjoy a two-storey amenity centre with a beautiful party room, kitchen, lounge, dining room, fitness facilities, pools, sauna and terrace. Sales are hopping, so if you would like to be part of this incredible condominium community, act now. Also from ADI Development Group, The Mod’rn Condominium is now under construction in the heart of Burlington, on Guelph Line just north of the QEW. Only a few suites remain in this contemporary four-storey residence. Inspired amenities include an elegant lobby, ultra-modern party room, and a rooftop terrace complete with a sun deck, fireplace lounge and barbecue dining alcoves. To find out more about ADI in Burlington, visit www.adidevelopments.com. As someone who has traveled extensively, I can tell you that right here in Toronto, we have one of the most beautiful waterfronts of any large metropolitan city in the world. Stretching from Etobicoke Creek and the burgeoning Humber Bay Shores in the west to the Rouge River in the east, our section of Lake Ontario’s shoreline is home to iconic buildings such as the CN Tower and Rogers Centre, the eclectic galleries and shops at Harbourfront, several well-loved beaches, marinas, yacht clubs, as well as the ever-popular 22-km Martin Goodman Trail. Throughout the year, this public pathway sets the scene for active walkers, joggers, bicyclers and inline skaters who enjoy beautiful parkland along the way. Sports-lovers appreciate living close to Air Canada Centre as well. Our skyline is also punctuated with many beautiful condominiums where fortunate owners can revel in spectacular lake views and the calmness that comes with living near water. There is a unique appeal that comes with gazing out over a massive expanse of water that is fascinating all year round, whether it involves breathtaking sunrises and sunsets, colourful sails on the horizon, birds skipping along the ice in the winter, and at night, the reflection of millions of city lights. Properties located on water typically command higher resale value, as well, and looking at Canada as a whole, Toronto one of the few cities that has residential development along its waterfront. Among the new residential choices you will find is Monde Condominiums by Great Gulf. Located at Queen’s Quay and Lower Sherbourne, this popular condo sits on one of the city’s last few waterfront properties. Residents will have beautiful views over green space, the water and sculptures of Sherbourne Common, the signature park next door. With architecture by the internationally acclaimed Moshe Safdie, Monde will be a stunning addition to our waterscape and skyscape. Visit mondecondominiums.com or baker‑re.com. 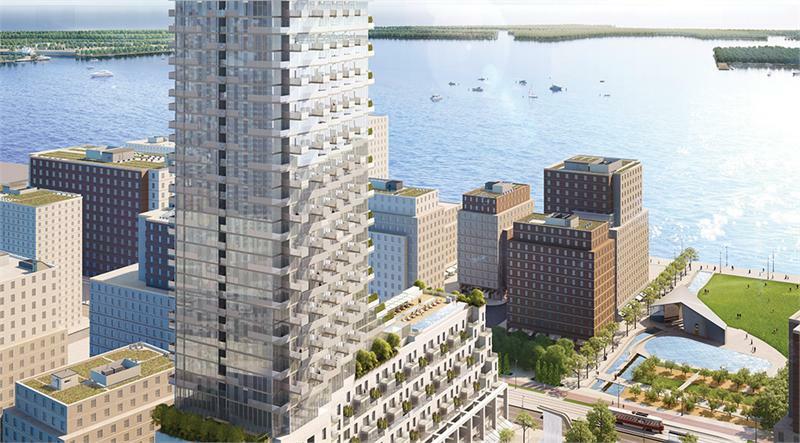 And hurry, before owning a brand new condominium on Toronto’s Lake Ontario shoreline is a thing of the past! COMMUNITY SPOTLIGHT: ETOBICOKE A HOT RESIDENTIAL DESTINATION! 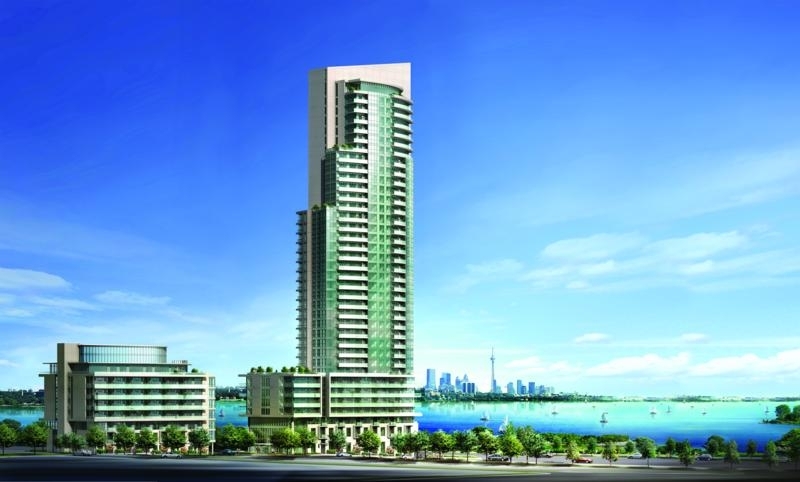 ≈ Comments Off on COMMUNITY SPOTLIGHT: ETOBICOKE A HOT RESIDENTIAL DESTINATION! I am amazed at the metamorphosis going on in Etobicoke right now, with new condominiums springing up to address demand. The most western section of Toronto, Etobicoke borders Mississauga, offering residents comprehensive amenities in all directions. People love living in Etobicoke for so many reasons, with location topping the list. Downtown Toronto is minutes away, and so is the QEW, which makes the Niagara region and the U.S. border an easy day trip. Etobicoke has undergone a lot of changes over the past few years, and currently the entire Humber Bay Shores area is being rejuvenated with new shops, restaurants and services. Bordered by the Humber River on the east, Mississauga on the west, the beautiful shoreline of Lake Ontario on the south and Steeles Avenue West to the north, this section of Toronto is also served by the Gardiner Expressway, Highways 401 and 427, and is connected to downtown by the Bloor-Danforth subway. Of course, Etobicoke also abuts Pearson International Airport, which is tremendous for frequent travelers. In addition to a raft of elementary and high schools, Etobicoke is home to both campuses of Humber College. Shoppers also have the luxury of living close to Sherway Gardens, one of Toronto’s largest and most stylish malls. 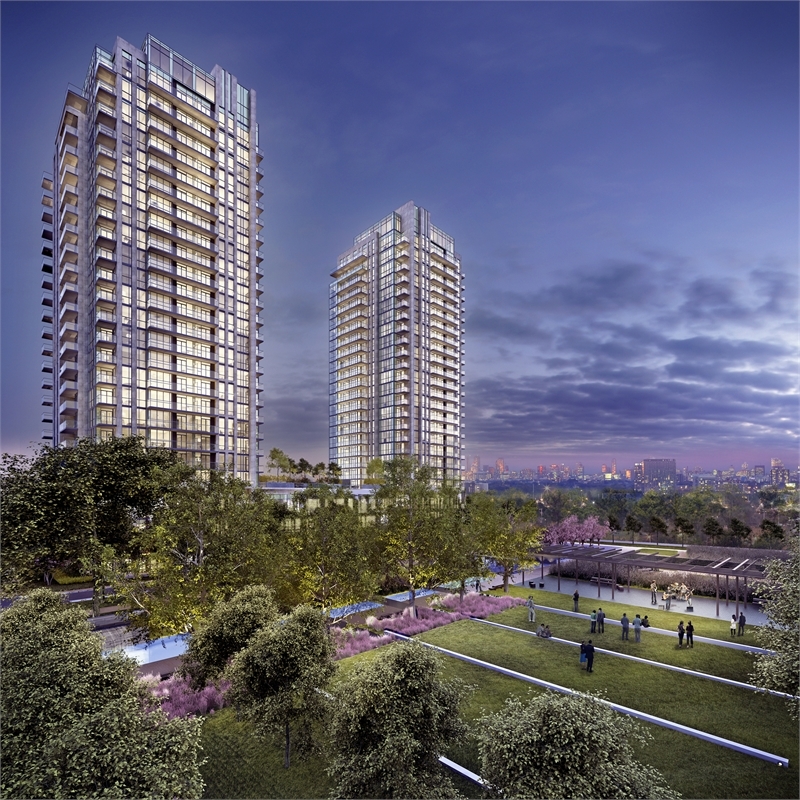 Within this invigorating setting, Remington Group offers Phase II in highly successful Park Towers Condominiums at IQ, at Islington and The Queensway. The community is centred around a new park for which Remington is footing the $2 million bill. It is designed by Janet Rosenberg & Studio, one of Canada’s most respected landscape architecture and urban design firms. This incredible park will feature an ampitheatre, art installations, an apple orchard, fountain splash pad, pathways and more. 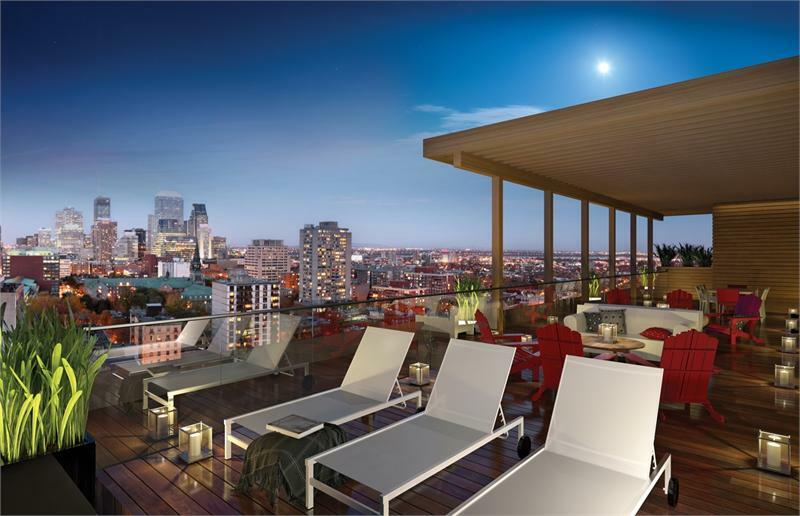 The views of this stunning area will be magnificent, especially from the condominium’s rooftop barbecue terrace and the edge of the spectacular infinity pool and sundeck. 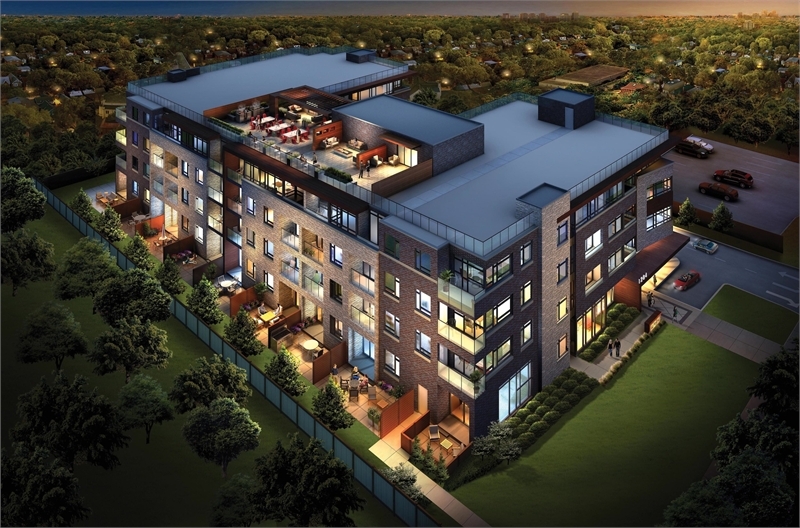 For more information on Remington’s community, visit www.iqcondos.com.